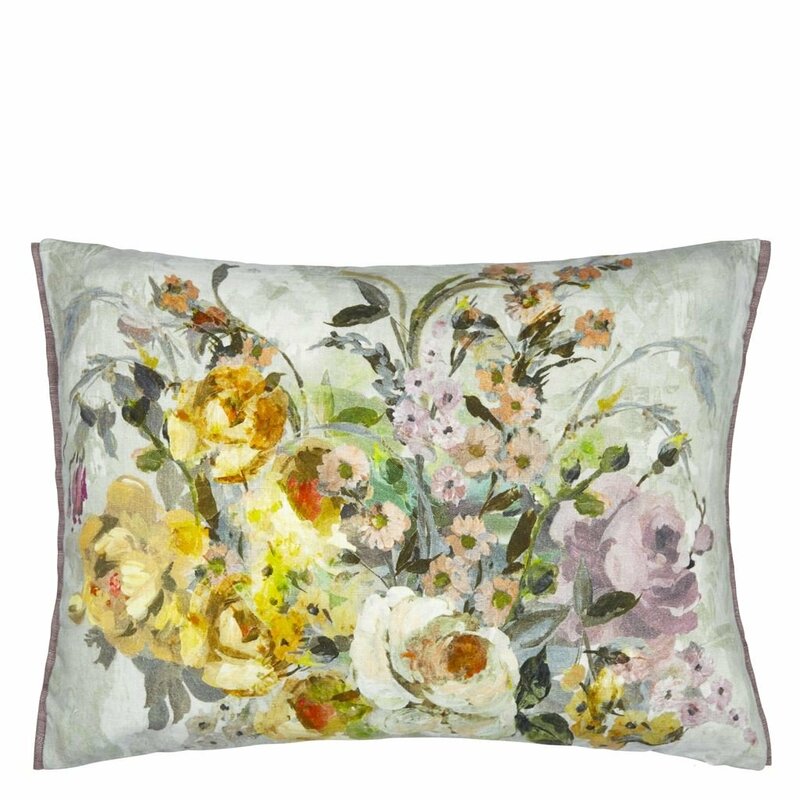 A blossoming painterly bouquet of vintage style roses creates this stunning printed cushion. 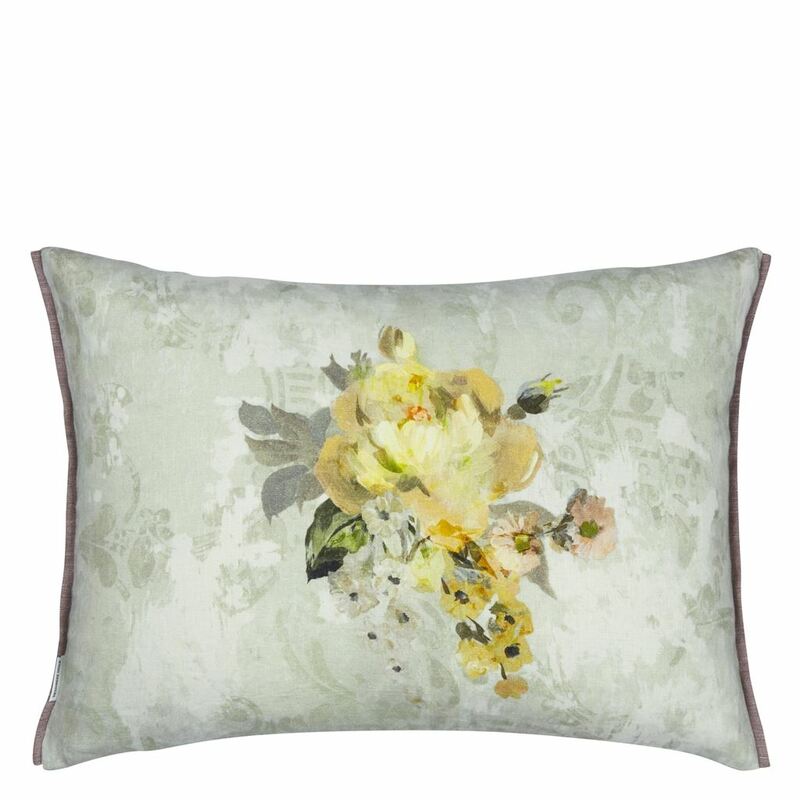 With a distressed fresco damask inspired ground in greys and reversing to a flower detail. This decorative floral cushion is digitally printed onto pure linen and trimmed with Mirissa Orchid on two sides. 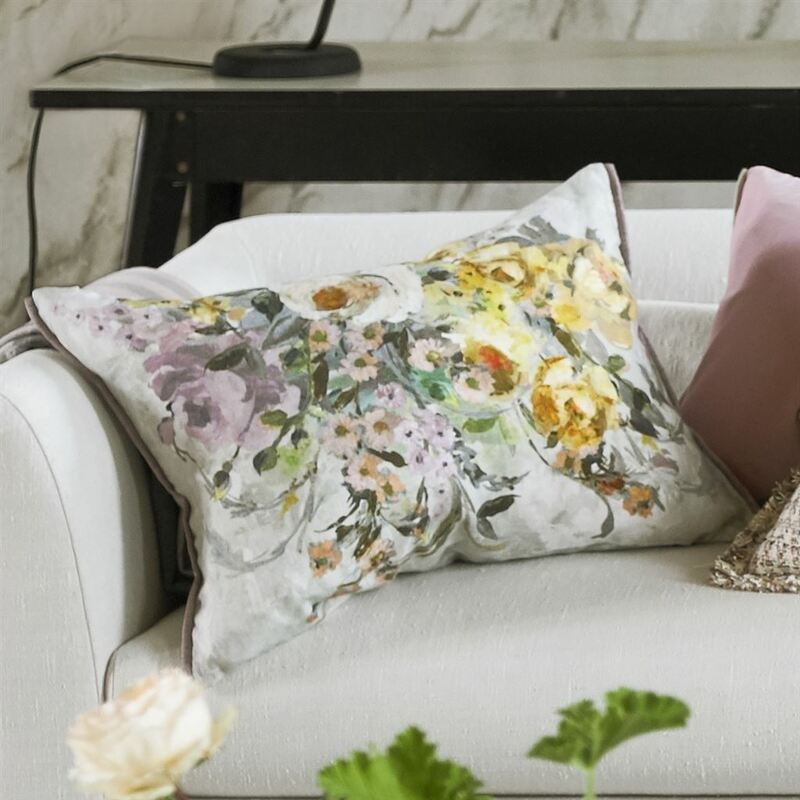 A statement designer cushion perfect for enhancing sofas and chairs.